Carthage is more than a place where people live; it is a community, where neighbors know and care about one another, where residents can feel safe and secure, and where a quality way of life can be achieved. 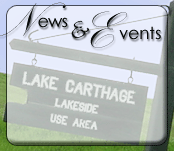 Whether you are just looking for a few hours of relaxation, an activity for the whole family, or a weekend getaway, Carthage has a variety of affordable entertainment to offer. 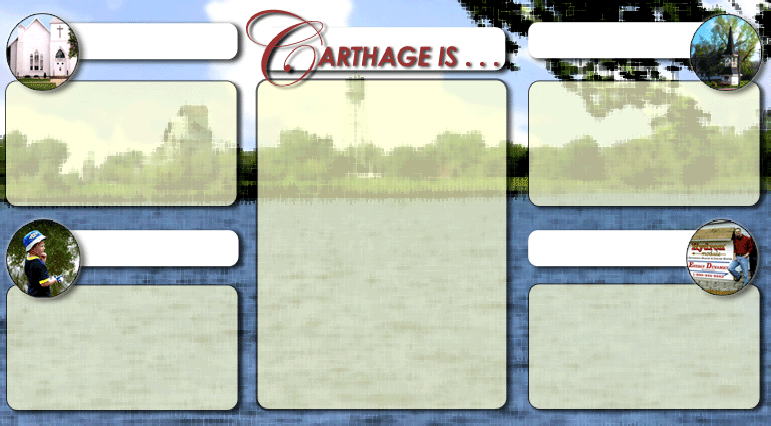 Carthage is many things for many people for many reasons. See why others have chosen Carthage as their place to live, work, and relax. During its existence, which spans more than a century, Carthage has both suffered and prospered, but it still remains a town whose people have grit and spirit and whose dictum is "Carthage is here to stay". PLEASE NOTE: WE DO NOT TAKE RESERVATIONS FOR CAMPING. CAMPING IS ON A FIRST COME FIRST SERVED BASIS.